He left school at age 14 and became a fruit picker but at 15 years entered the shearing shed and became a member and organiser of the Australian Workers’ Union. Also at age 15, he became a life-long advocate of Henry George’s land theories, which also influenced his policies as Federal Minister for Labor in the Whitlam Government from 1972-1974, Minister for Labour and Immigration (1974-75), and Minister for Science and Consumer Affairs (1975). 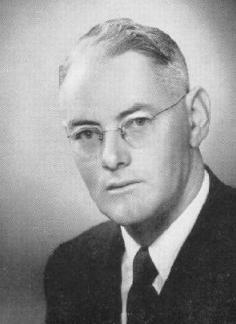 Clyde has had a long and distinguished career with the Australian Labor Party, serving in the Federal Parliamentary Labor Party Shadow Cabinet from 1953-72. In 1976 he was the Parliamentary Delegate to the UN General Assembly. He was MHR for Hindmarsh in South Australia from 1949 to 1980, and since his retirement from Federal Parliament Clyde has been active in documenting Australian political history by creating a library, which is held in the National Library in Canberra and State Libraries. He has been writing letters, filing, binding, and fighting to produce the Collected Letters: Sent and Received since retiring from parliamentary life in 1984. At 89 years, he remains a great storyteller and is astute in the details of events. He uses his humour and debating skills to confound his opponents and create inspiration, mirth and appreciation in his friends. He has also remained responsive and inspirational to people who are interested and committed to an equitable and sustainable political economy. Other issues have also stayed within his critical sight. He comments regularly on multi-national tax evasion, openness of government and business, as well as the role of large banks. He was awarded the Order of Australia in 1982. Check more of Clyde Cameron’s outstanding work on our website via his tag.